Want to know collaboration tools we use? This post is prompted by the inforgraphic below from SCORE, the nation’s largest network of volunteer, expert business mentors. Score has published an infographic showing how small businesses that use online collaboration tools see 26% faster growth and 21% higher profits. Among businesses with fewer than 100 employees, 12% currently use online collaboration tools, while 17% plan to use these tools in the next 12 months. Businesses with 100-1000 employees are using collaboration tools at an even higher rate, with 28% currently using them, and 35% planning to use them in the next 12 months. 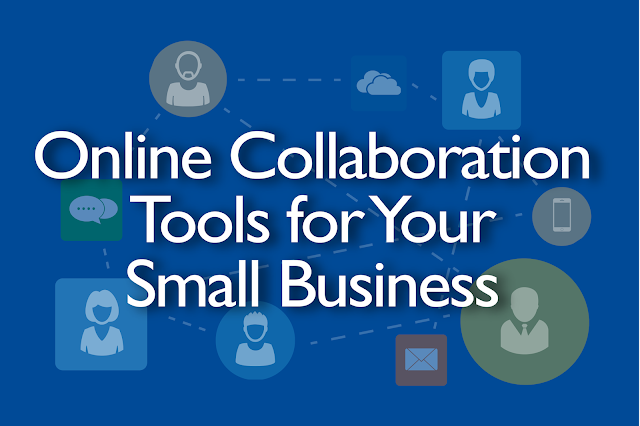 70% of small business owners think online collaboration tools improve productivity. Use of these online collaboration tools result in an average savings of $1,700 per month, per small business, and a time savings of 43 minutes per employee, per day, due to more efficient message management. We tend to lump the last five categories together. What are some of the tools us Nerdstalkers like? Check out our picks and view the podcast for our in-depth thoughts.